A big thank you to Beth Cagnol and all the TESOL France team for organizing a brilliant event. Thanks to everyone whose talks I went to, and to everyone I hung out with in talks, between talks and after talks. I’ve come back inspired and full of ideas and exhausted. Thanks to everyone who came to my talk – here’s the handout . I hope you enjoy using the activities. “In the grand World Cup of life, I am of course in the group of death”. These are just a few of the things Granny O’Grimm has to say on her Twitter page . So when she reads Sleeping Beauty to her granddaughter, you can probably guess that it isn’t going to be the traditional take on the story. 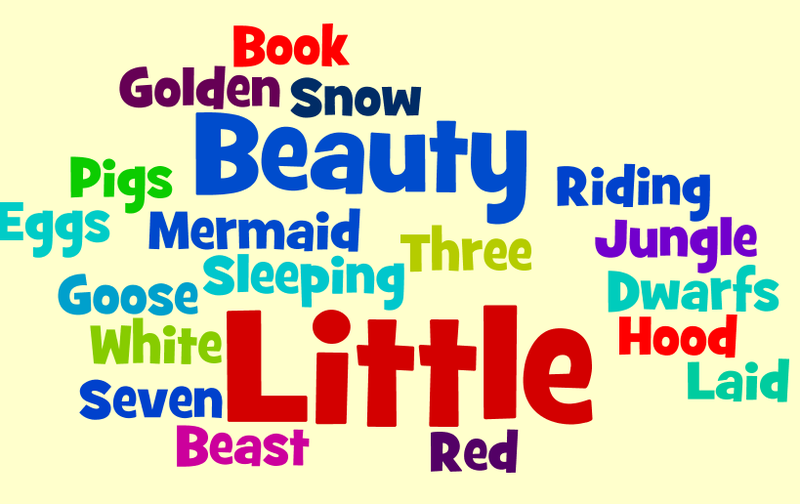 In this lesson, students talk about some traditional fairy tales before watching the Oscar-nominated Granny O’Grimm’s Sleeping Beauty. They then use their imagination (and / or memory) to fill part of the story with adjectives before retelling in the style of Granny O’Grimm. Finally, they write the subtitles in their own language. If their language is Spanish, they can compare their version with one that has already been put on YouTube, and if not, they could go to overstream to subtitle the clip in their L1. For more about Granny O’Grimm, see her website . Granny O’Grimm’s Sleeping Beauty was written by Kathleen O’Rourke , directed by Nicky Phelan, and produced by brownbagfilms.